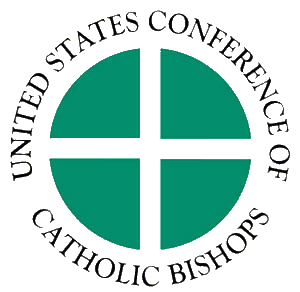 WASHINGTON—The U.S. bishops urged the House of Representatives to fix flaws in health care legislation or vote against its passage in a March 20 letter to House members. The letter was signed by Cardinal Daniel DiNardo of Galveston-Houston, chair of the Committee on Pro-Life Activities, Bishop William Murphy of Rockville Centre, New York, chair of the Committee on Domestic Justice and Human Development, and Bishop John Wester of Salt Lake City, chair on the Committee on Migration. Meanwhile, take three minutes and call these guys. Tell them not to cave. In all honesty, I can say that if this bill passes there will be a unified Catholic opposition to those who were responsible for it the likes of which I don't think we have ever seen. Seriously--that's not just an empty threat. Notice that the opposition is not simply fueled by partisan politics--opposition is coming from both parties. Or, put it another way, the only "bi-partisan" movement here is one that seeks to stop this legislation. I know--I'm usually cynical about politics here. But this is really serious. My wife and I are taking names and are pledging to help finance the campaigns of those running against the supporters of this bill--and we are hardly alone. In addition, there will likely be constitutional challenges to this bill. We will support those movements too. Please join us! All their VM boxes are full. I doubt they will be answering calls tomorrow but I will try. I hope we are not too late. Take care. "In all honesty, I can say that if this bill passes there will be a unified Catholic opposition to those who were responsible for it the likes of which I don't think we have ever seen. Seriously--that's not just an empty threat." This isn't correct. Liberal Democrat socialist groups like Catholic Health Care and the Leadership Conference of Women Religious are fully in support of Obamacare. Liberal Democrat socialist Catholics have myriad news outlets and blog sites in support of Obamacare. Just cruise the internet. Today in Wrightsville Beach, NC I saw cars flocking to the beach (it was a gorgeous day) with "Catholics for Obama" and like minded bumper stickers. As long as Archbishops like Neiderauer and Weurl fail to disciple Pelosi and other so-called Democrats, all the USCCB's foot stomping is just noise. The socialists have GOT to be publicly ex-communicated. 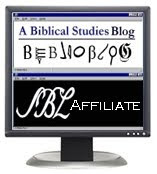 What did St. Peter do about Ananias and Sapphira lying concerning the proceeds of their land sale in Acts 5:1-11? What did St. Paul do about the blasphemy of Hymenaeus and Alexander in 1st Timothy 1:19-20? What did St. John do about the harlot Jezebel at the Church in Thyatira in Revelation 2:20-23? We have had 20 years of moral timidy and hippie theology from the USCCB - all this socialist nonsense about social justice, the common good and peace at any price. With few exceptions the Bishops there are too morally weak to emulate the Biblical examples set before them. Obamacare may thus and probably will pass. If it does, then there will be much USCCB handwringing, but Joe Biden, Nancy Pelosi, Patrick Leahy and all the rest will continue to parade themselves up as good Catholics at Holy Mass. Truly I am more disgusted with the USCCB's lack of spine than anything else. Opps - moral timidity - can't spell this morning. I have a question for you concerning our conversation on the first post for this topic. Let us, for the sake of argument, say that you are correct and the State, endorsed by the Church, can take the "excess" from someone and give to another. Now, assuming you have a 401k or some type of retirement plan, how do reconcile hording that money away that you don't immediately need (and may never need) while others are starving and dying from illness because they have no money right now? How is that not considered "excess" by your standards and why shouldn't the State step in and take your retirement plan and give it to someone else them deem in need? Socialism as manifest in many of the cases cited by Michael Pigg in an earlier post is a great evil, and on this point Catholic social teaching will agree. But the flaw lies in the definition of "need" and not the idea redistribution of excess wealth. I am not a proponent of redistributing wealth in America and I think there is very little "need" in America that would warrant taking more than the Uncle Sam already does take, especially when one considers the appropriations of the money that is currently taken (ie federal funding of abortions here and abroad). Could it be just for a government to take from an unjust person and give to his neighbors who are LITERALLY starving to death? YES! Is that the case in America today? I don't think so. But we do need to look outside of our very comfortable world and help those in real NEED. Charity is from the heart moved by the spirit. Charity is never from a tax by a government. The Spirit moves in our lives to give. The government is incapable of giving charity. The government does not have a soul. It is a machine. I have to take responsibility for my neighbor. That is what being a Christian is all about. A free offering of self out of love to my God, family and neighbor. It isn't, "I will take from one and give to another." Obamacare and the rest of entitlement programs take from one give to another. That isn't, nor will it ever be charity, it's a tax. I give a gift of self to my neighbor, that's charity. Feed the hungry, give drink to the thirsty, clothe the naked, shelter the homeless, visit the sick, visit the imprisoned, bury the dead, warn the sinner, teach the ignorant, counsel the doubtful, comfort the sorrowful, bears wrongs patiently, forgive injuries, pray for the living and the dead. Amem.